Live every day as if it's your last with this mememto mori skull bracelet from Pyrrha. 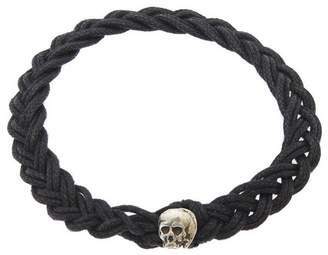 This beautiful delicate woven bracelet with a sterling silver skull charm serves as a reminder that life is fleeting. The accessory comes with a hand torn meaning card and an unbleached cotton Pyrrha pouch.